Interested in Overcoming Adult ADHD? ADHD Group Coaching is now open locally in Pittsburgh and globally with coaching sessions and phone coaching for an extremely affordable and ridiculously high value! 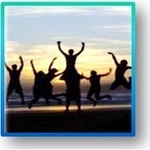 ADHD Mastery groups for professionals, entrepreneurs, parents, and students are available! One Last Spot for a Special Family! There is one last open spot for a very special family with a child suffering from ADHD. Once this spot is filled the program will be closed permanently. Applicants will be carefully reviewed.